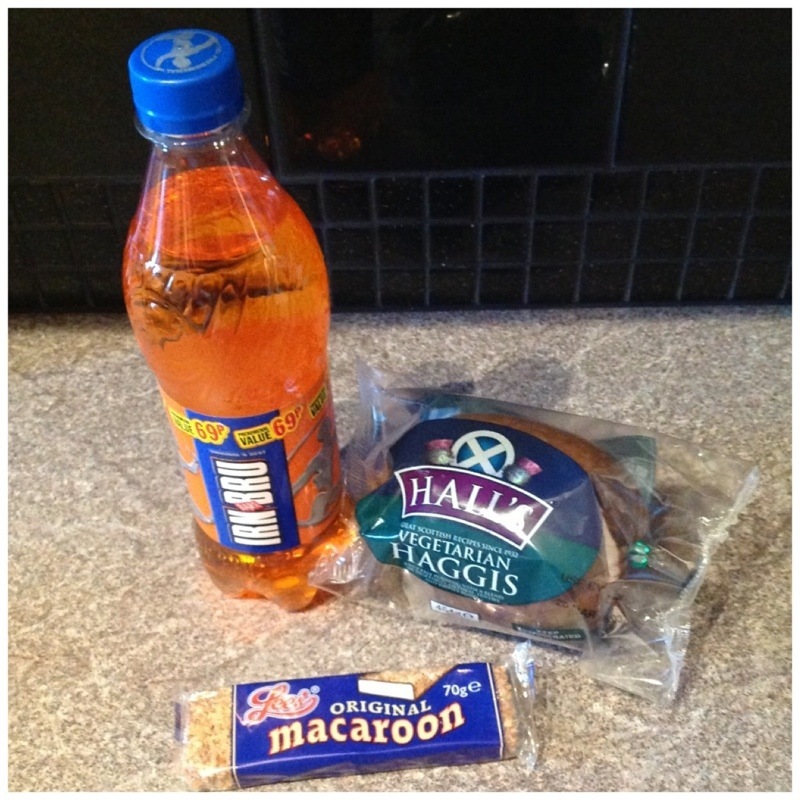 This morning I arrived in Scotland for a few days and soon stocked up on some traditional Scottish food. Or traditional Scottish scran, as the natives would say. 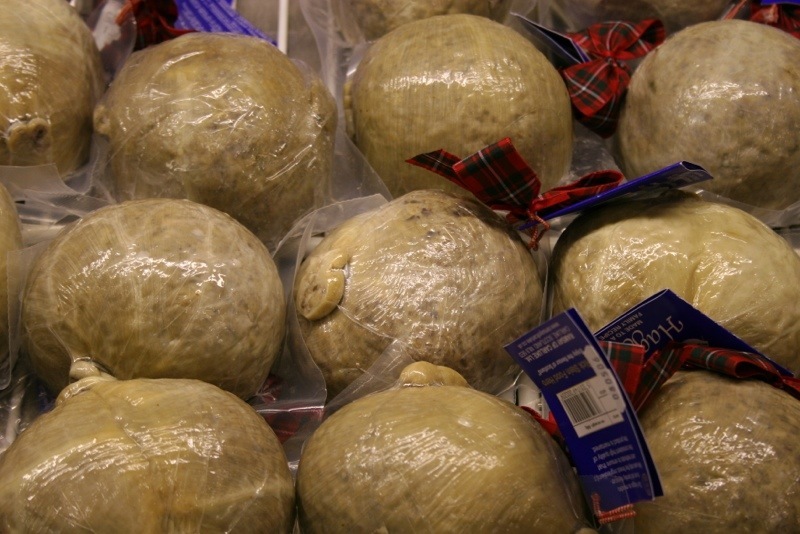 Among my shopping was haggis, a dish that seems to be the stuff of folklore. It’s a mixture of sheep’s pluck (heart, liver and lungs), onion, oatmeal, suet, spices and salt that is then squeezed into sheep’s stomach and simmered for hours. 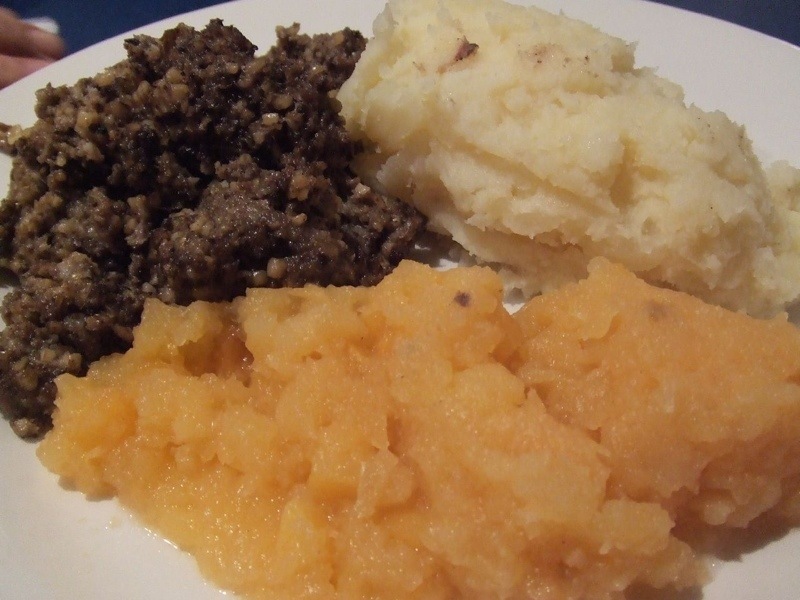 It sounds pretty horrifying, but it’s a Scottish favourite and usually served with ‘neeps and tatties’ (swede and potatoes, pictured above). 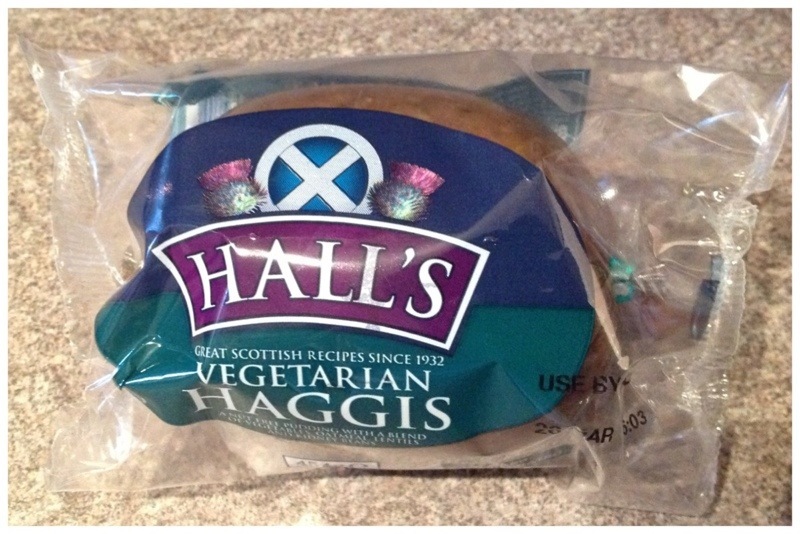 If it sounds too horrifying, there’s also haggis for vegetarians. And that’s the one I opted for. 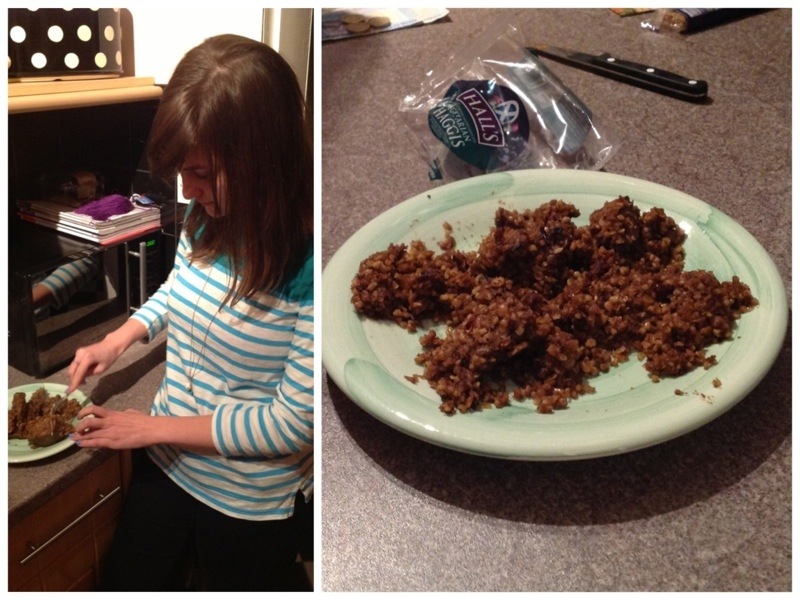 This one contained kidney beans, red lentils, oatmeal, vegetable fat, salt, pepper and malt extract. And all it needed was a blast in the microwave. 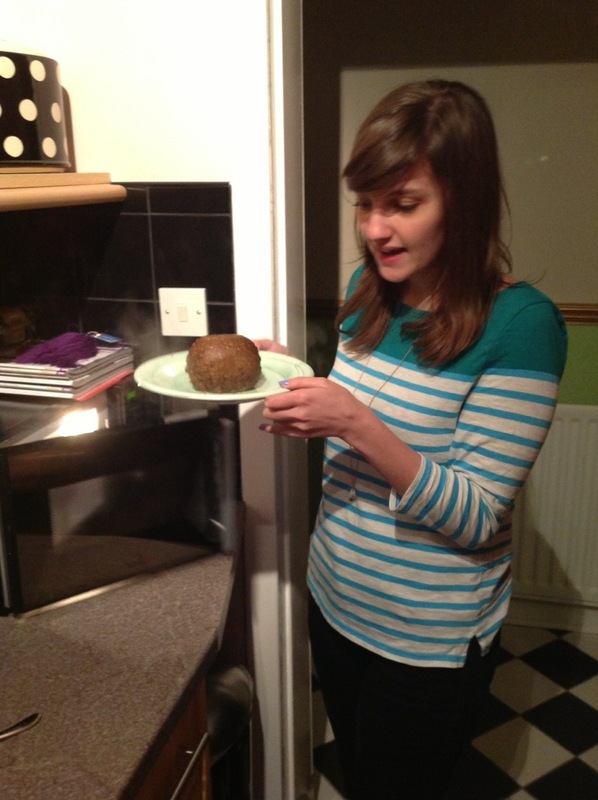 I then broke open the haggis and gave it another blast, and it was done. If that’s too advanced for you, it can be steamed for an hour instead. 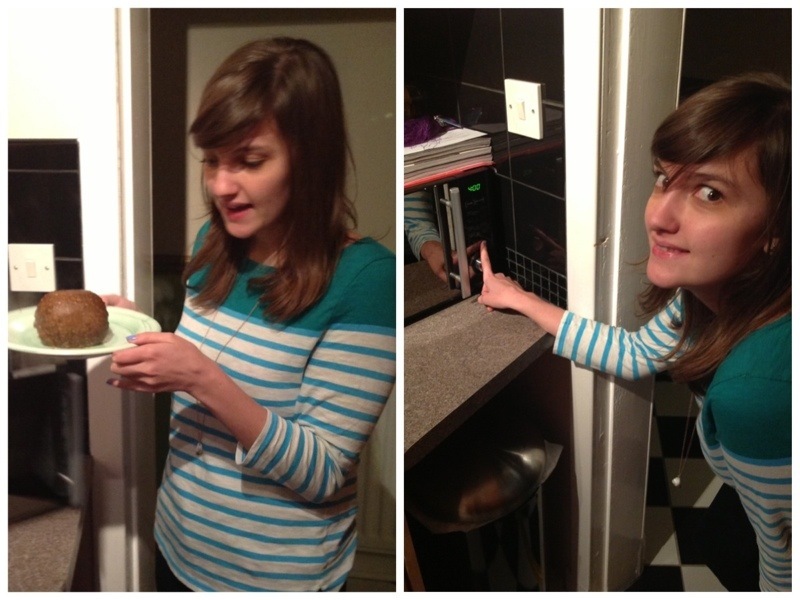 And it was soo tasty. So spicy and comforting. 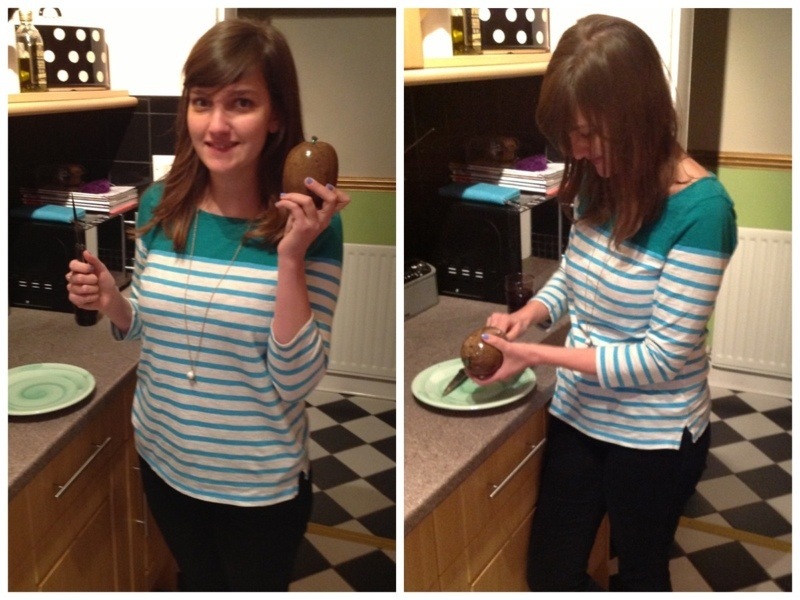 My friends Lauren and Kate (proper Scots) said it tasted unbelievably like the real thing, which is impressive. All we were missing was a roaring fire, a dram of whisky and Robbie Burns reading some poetry in an unintelligible accent.